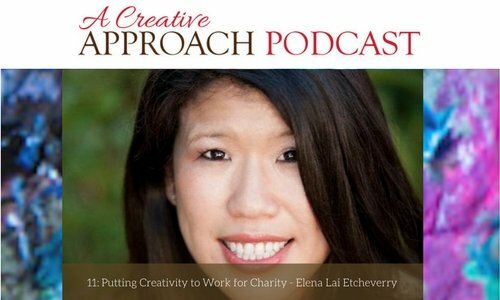 If you’re a creative person with a desire to give something back to your community, you will really enjoy today’s show, with Karen’s bubbly and inspiring guest and long time friend, Elena Lai Etcheverry. Elena is the founder and Executive Director of Charity Wings.org, a Non-Profit Organization and DIY Make-A-Space in Southern California. Listen in today to find out about this wonderful, charitable non-profit, where you can really get creatively involved and also make a difference. Charity Wings is a huge, open studio, where you can come along and bring your imagination and a desire to create pretty much anything. All the supplies are there for you- the space, the tools, the assistance and the inspiration. Elena and her team want to make sure that everyone has a place to use their creative expression and to have a creative outlet. They have programs for other Non-Profits as well, where they offer either free or very low-cost classes for people with mental disabilities, wounded warriors, cancer support groups and various children’s and adult groups. Everyone has a place at the centre. There is a small fee of $20 per month for you to become a member of Charity Wings. This fee supports the programs and allows Charity Wings Art Center to keep running, so even if you aren’t able to go there and use the space as often as you would like to, or if you live elsewhere, your contribution will still be making it possible for other, often less fortunate individuals to do so. If you are a member and you’d like to use the space, you can do it for only $5 per day. Listen in to find out more about Charity Wings and to find out how you can get involved. Some of the special events which are done at Charity Wings Art Center. How it really supports and helps keep them going when prominent individuals show up at their events. Their once a year interactive collaboration with the Association for Creative Industries and various manufacturers and designers, which they did as a Facebook Live Event this year. The Crafty Flash Mob Video that they did a couple of years ago. The numerous opportunities for people to gather, give back and create, through Charity Wings, who give people the place to do voluntary work to help their organization. The High School Internship Programs that they offer. The need to fully commit, when doing voluntary work for any organization. Their Charity Wings Mini Hat Dye Cuts that they are selling to raise money for the organization. How Elena first got started with charity work. The vast amount of money that she has raised with Scrapbook Royalty for about eighty-two organizations, over the last eleven years. The huge blessing of moving from the scrap booking world to Charity Wings. The vast number of different crafts that you can do at Charity Wings Art Centre. The different groups that are on offer at the Art Centre, including the new Open Mic Night. How to know if this type of charity work really is for you- Elena is willing to have you shadow her for a day if you’d like to find out. Her goal to expand her organization. That NOBODY is turned away from the Art Center- it’s a very lively place! What creativity really means to Elena. Creativity as a healing tool for Elena. That you can become a HEART Supporter for Charity Wings for only $10 per month. Creativity comes in many forms, and even though many choose a career that isn’t particularly creative, you can find ways to leverage your creativity in that career. 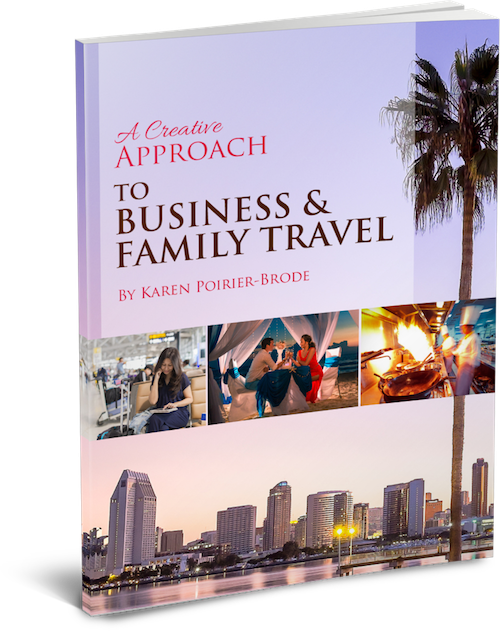 Other times, the creative soul isn’t being fed and that mandates a change in career. That’s exactly what happened to today’s guest. 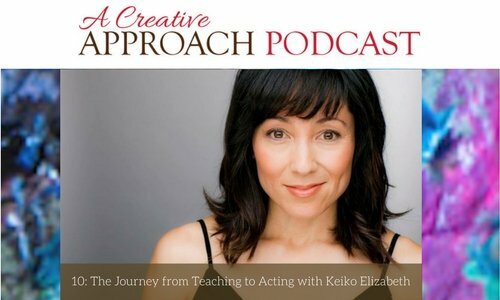 Keiko Elizabeth went through a mid-career transformation and she’s here to share her journey with us! Keiko Elizabeth grew up having career aspirations to be a Doctor and eventually studied Biology. Later she became a middle school teacher and was able to change the lives of children. Then, later in life, Keiko did the unexpected and became an actress. It’s a tough road to landing acting gigs. Keiko shares how she landed her first ones. Learn some of the differences between doing theater productions and acting behind the camera. Keiko shares how she tries to keep her work life and home life balanced. Keiko’s son finally saw her on TV and it was an interesting experience. Ways creativity plays a role in every acting gig that Keiko undertakes.